Chinese officials are discussing the purchase of the US has significant volumes of wheat, the decision will depend on further progress in trade negotiations, says the Agency Bloomberg with reference to informed sources. According to them, for starters, Beijing could buy a small batch of American grain, and soon - even from 3 million to 7 million tons, if the negotiations will go well. 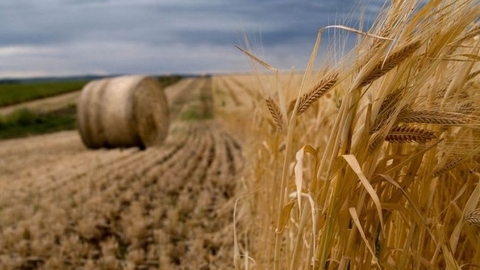 The purchased wheat will be used for the state's strategic reserve of China. According to the latest estimates of the Ministry of agriculture of the United States, in the current marketing year that started in July 2018, grain exports will amount to about 1 billion bushels (27.2 million tons). Meanwhile, according to the American trade publications, China last week bought the US a trial shipment of wheat. As it became known last Friday, Canada amid trade disputes in the US and China has increased the supply of wheat in China by almost 200% in January-November 2018 to 1.3 million tons. Meanwhile, total wheat exports from Canada has increased over 11 months by 13%. Data for the entire year will appear in the second half of February. Earlier in January, Beijing in the course of negotiations, Washington offered to increase the import of goods from the United States a total of more than $1 trillion over six years and by 2024 to reduce the surplus in trade relations with the United States to zero. In 2018, China in response to the actions of the US imposed 25% duty on the import of American agricultural products, including wheat, soy beans, corn and beef. While China by the end of the year, almost stopped buying American wheat, said to Politico, the Association of wheat producers USA Steve Mercer.